What Is The Best First Tuner Car For Young Enthusiasts? Car enthusiasts who are looking to purchase their first vehicle may be specific when it comes to the make and model that they prefer to drive. Although new drivers may be limited on what they can purchase due to their budget, they still want a vehicle that is fun to show off and is easy to customize. When it’s time to begin car shopping, here are a few vehicles to choose from that will make for a memorable first car, and are often cited by other enthusiasts as the best first tuner cars. Vintage Ford Mustangs continue to be in demand and are popular for their sleek and edgy design as one of the most popular muscle cars in history. 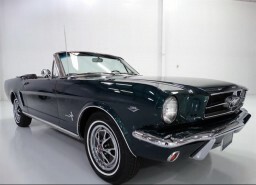 The ’60s Mustang is simple and is also affordable with its value and the cost to insure it. The model is sporty and fun to drive, making it a great first car for drivers who don’t need a spacious vehicle that comes with plenty of bells and whistles. You’ll enjoy driving the vehicle at high speeds and can show up at a local car show feeling proud to be the owner of the classic vehicle. Don’t forget to put a pair of dice on the rearview mirror. This mini vehicle is the perfect sports car for those who are on a budget and is fun to drive due to its ease of handling. You’ll enjoy hugging each turn on the road and driving a convertible that can easily weave in and out of traffic. 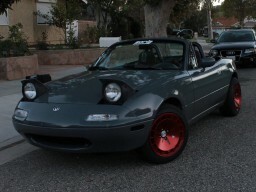 The vehicle is also cheap to modify to ensure that you can make it specific to your preferences. Most insurance companies will even provide you a low quote for the model, which is ideal for new drivers who often pay more for insurance due to their inexperience behind the wheel. The Honda Civic is one of the most affordable vehicles on the market and is known for its high level of reliability. Not only is it low in cost with its value, but it also is inexpensive to maintain with oil changes or repairs that are needed during its lifespan. 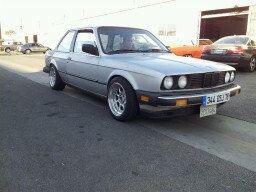 They are also inexpensive to modify and have a large aftermarket base. This luxury vehicle features a sleek vintage design that is still trendy and is a modern classic car that doesn’t cost a lot to purchase or drive. One of the main benefits of the vehicle is the way that it handles while on the road and how easy it is to repair yourself without having to visit the local mechanic, which can save you more money throughout the year. 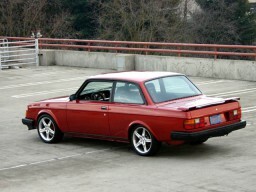 Brick Volvos have a reputation for being a practical car with models 2, 7, or 9. They’re not only cheap to insure, but many come with turbos and strong engines. They’re also easy to modify and are extremely safe for new drivers. Some of the easiest modifications to perform yourself include electric fan conversions, 240 performance suspension, and installing stainless brake lines. Explore thousands of custom cars and trucks and get ideas for your own car HERE.